Click the button below to add the Equinox 336 LED Underbody Neon Flexible Waterproof Kit w/ Remote (Red, Blue, Green etc) to your wish list. Easy to install on any car or large motorcycle. 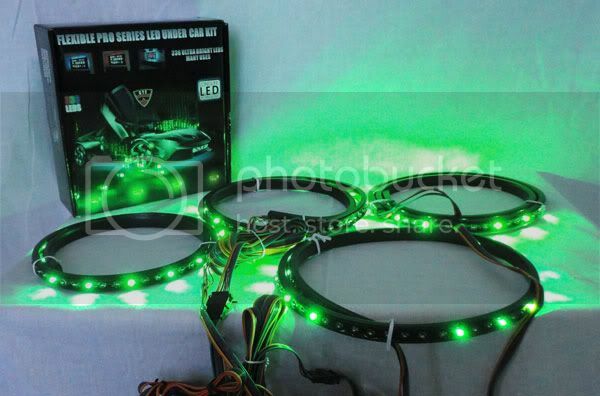 Our kit has more LEDs than any other sellers outthere. 336 LED vs others 252. Note: You can have on/off pattern change and solid colors as you wish. It is a great kit for cars or any lighting application.